The SCTAA met on January 27, 2014 with 39 in attendance including visitors: Joe Boch, John Tony, Zac Thatcher and his friend Kenneth. We added one new member, Bill Smith. We have 33 paid members. During the program time, Randy Gatchell presented information and a display about his upcoming hunt in Blacksburg. He then showed his find of a Revolutionary War 18 pound Cannonball in eastern NC with details about finding it. A friend of Kenny Brackett, Zac Thatcher, displayed and talked about finding several items in his yard (without a detector): tomahawk heads, arrowheads, musket balls, etc. Zac lives in the Chesnee area near the Cowpens battle site. Robert Weaver alerted the club of a problem at a Reidville ball field area where someone is not covering their holes. 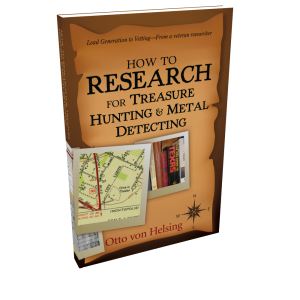 A landowner is threatening to get detectorists banned if it continues. We do not think anyone from the club is doing this. November treasury ended with a balance of $1,047.63. We paid out FMDAC memberships - $145; refund to Terry Barcelona who paid twice - $25; awards plaques from The Awards Center - $151.70; banquet awards and 3 months of prizes from Coin Depot - $549.10. We collected: 2014 Memberships - $125; scavenger hunt entries - $35; Money Donations for Points/Raffle - $119; donation can - $14. The amended closing balance is $469.83.